Is Katoomba's Scenic Railway Worth the Admission Price? Is Katoomba’s Scenic Railway Worth the Admission Price? The Katoomba Scenic Railway has been a long-time tradition for those visiting Australia’s Blue Mountains. Originally built for coal and shale mining, it’s been carrying paying passengers down into the Jamison Valley since 1928. 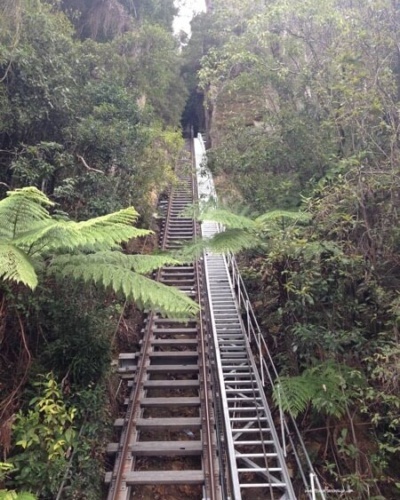 Katoomba Scenic Railway is indeed the world’s steepest railway, descending through a cliffside tunnel at a gradient of 52 degrees. Now owned by Scenic World, the cost to ride this railway the 415 metres (1360 ft) down the mountain is a whopping $35pp (for adults) at publication. Granted, the cost covers the Scenic Cableway and Scenic Skyway as well. It had been many years since I last rode Katoomba’s Scenic Railway. I gasped – out loud – when I saw Scenic World’s prices. Do I think Scenic World are overcharging? Perhaps. I love the exhilaration of going vertically down a mountain, held on only by two cable wires. (Now I say that out loud, ah… maybe not…) It is an experience like no other. For those scared of heights (as I am), the trick is to prop your knees up on the bar in front and look out over the horizon as you descend the mountain. The view takes your breath away, moving your mind away from the plunging feeling. With three different modes of transportation around the valley included, it’s arguably a reasonable price for a unique experience. The ‘Scenic Skyway’, with glass flooring, hovers 270m above the forest canopy and travels 720m from cliff to cliff. The ‘Scenic Cableway’ provides an easy way to the bottom of Jamison Valley and rises 510m back to the top. Both rides offer panoramic views of the area. Are there alternatives to get down to the bottom of the valley? Yes. To hike down the mountain, you would have to take the Giant Stairway along Cliff Drive. As the trail’s name implies, steep steps, cut from stone or created from steel, take you all the way down. It takes approximately 3 hours to hike the 4.2km (2.6 miles) – one way. Visitors with heart or breathing difficulties should not attempt this trail. However, you feel a similar exhilaration of descent, while still enjoying the stunning scenery, without the staggering hit to your wallet. With the bonus of all those calories you burn on the hike, treat yourself to a Sundae with the money you saved. If you are visiting the Blue Mountains for the first time, the Scenic Railway is a must-do. Honestly, it’s exciting taking the scenic railway and plunging down into the valley, through the mountain at an alarming descent. When we take visitors to the Blue Mountains, we feel we the need to warn our visitors upfront—it’s a serious hit to the wallet. But it’s worth it. Having said that, if you have been before and have the stamina and time, save your money and walk the trails. The scenery will reward your efforts. Many people have asked me about Australia and where they should visit. I always suggest taking at least two weeks to see the highlights, which should include Sydney and the Blue Mountains. 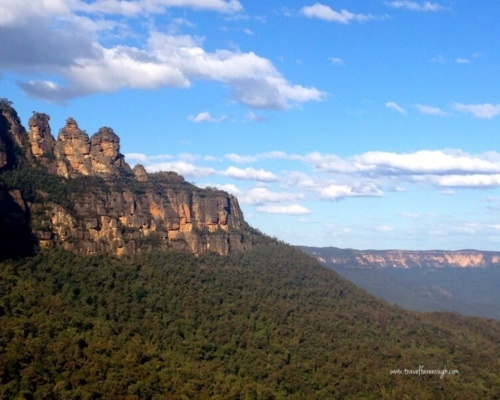 The Blue Mountains is a beautiful area in NSW and a must-see for all visitors coming to Australia. You can get to Katoomba via train or take one of the multitude of tours offered from Sydney. 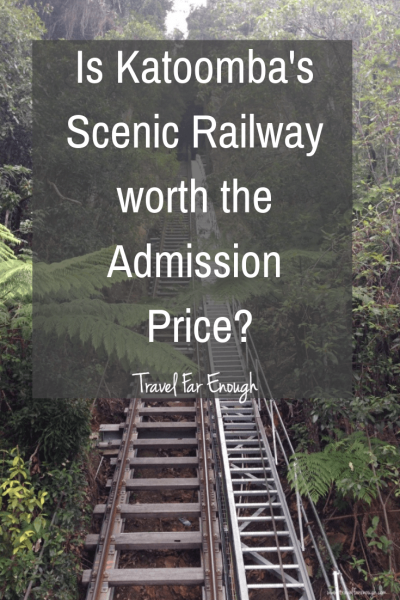 Have you been on the Scenic Railway? Is it with the dough? If you like what you’ve read, feel free to share on social media! 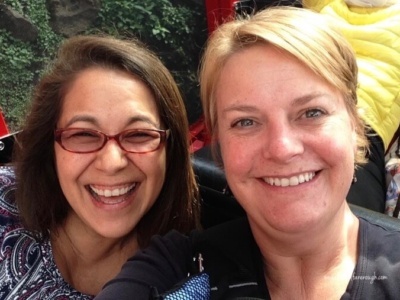 Next Post ‘What Inspired You to Travel?’ … Answered by Travel Bloggers.